I love historical fiction set in the 1920’s, so I was really excited to get an early copy of Teetotaled to check out. It did not disappoint! The heroine, Lola, has a very dry, sarcastic sense of humor which I adored, and this book kept me chuckling all the way through. The mystery in Teetotaled was just as entertaining. It kept me guessing, and the cast of suspects and supporting characters made me feel like I was watching a BBC production of Jeeves and Wooster. Cozy mystery fans as well as historical fiction aficionados who don’t mind a dose of humor are sure to enjoy this book! 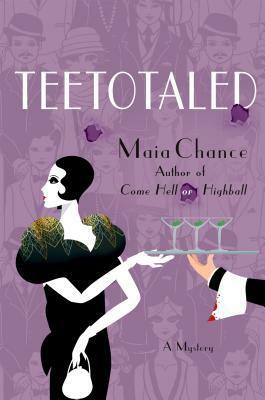 Enter the Rafflecopter giveaway (ENDED) for your chance to win a finished copy of Teetotaled by Maia Chance. Teetotaled goes on sale 10/4/16 – you can pick up a copy at Amazon or B&N. NOTE: I received a free copy in exchange for an honest review. All thoughts and opinions expressed are my own.